Alpha is a range of modern hand-woven rugs featuring muted tones and highly textured pile. 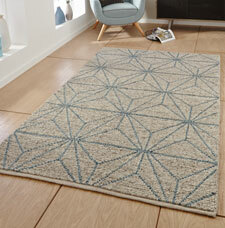 The rugs also feature simple geometrical designs using straight lines and neutral colours suitable for any modern setting. In addition, each rug features a surface made of inter-woven loops, which enhances the visual effect of the pattern.